AFTER 10 gruelling months, the 2016-17 English Premier League season comes to a close this weekend with the final round of fixtures. Chelsea are champions, Tottenham Hotspur are the runners-up and Hull City, Middlesbrough and Sunderland are relegated. But there are still a handful of teams who have something to play for. Depending on how their respective cookies crumble, each of Manchester City, Liverpool and Arsenal can either seal Champions League qualification or miss out entirely. 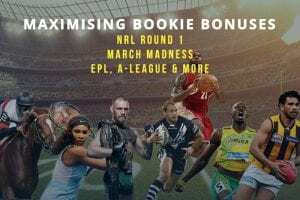 Let’s look at the match odds at Sportsbet.com.au, along with the first goalscorer specials and other EPL betting specials at Australia’s best online bookmakers. Have the Gunners left their run too late? They have won four in a row since losing the North London derby three weeks ago. A win on the final day would give them a red-hot chance at finishing in the top four, but only if Liverpool and/or Man City slip up. They could have both Laurent Koscielny and Aaron Ramsey back from injury to bolster their sometimes-fragile spine. Everton are dangerous, with star striker Romelu Lukaku looking to sew up the EPL golden boot. But while the Toffees beat Arsene Wenger’s men at Goodison Park earlier this season, they have not won away at Arsenal since 1996. A big win at West Ham leaves Liverpool needing only a win over relegated Middlesbrough to guarantee a run in the UEFA Champions League next season. 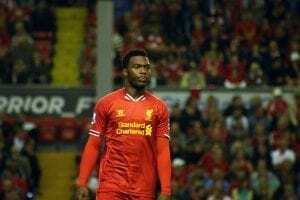 The sticking point is that the Reds have not won at Anfield in over six weeks, failing to beat Bournemouth, Crystal Palace and Southampton in their last three home games. Brazilian forward Roberto Firmino has some muscle soreness, but he should be right for the weekend. Boro have only pride to play for now, and the likes of Coutinho, Lallana and Sturridge – who was in fine fettle last time out – should get the job done with a minimum of fuss. Watford are finishing the season in absolute freefall, although they came close to raining on Chelsea’s title parade in midweek. Not only was the 4-3 defeat to the premiers their seventh loss in a row, it was the first time they had managed to hit the score sheet in that period. In even better news, a red card for Sebastian Prodl means the Hornets have a hole to fill in defence. Whomever gets the call-up will have their hands full with Kevin de Bruyne, Sergio Aguero and Brazilian prodigy Gabriel Jesus, whose seven appearances in an injury-hit debut season have produced six goals and three assists. 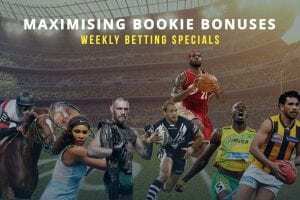 This is your last chance to take advantage of Sportsbet.com.au’s soccer multi special for 2016-17 Premier League games. 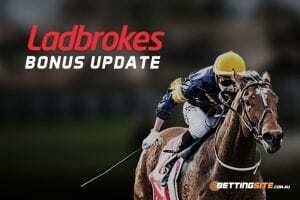 If you pick a multi of four or more head-to-head legs, the bookie will pay you back up to $50 in bonus bets if only one leg fails. Let’s say we put $50 on Arsenal, Liverpool, Man City, Man United and Tottenham all to win this weekend, paying +666 odds. If the Red Devils flop but the other four teams get up, we will get our stake back in the form of a $50 bonus bet. For even more Premier League betting specials, sign up at Sportsbet.com.au today.